Before I fill you in on this week’s French goings-on, let’s get our priorities straight: shopping. After getting reacquainted with the food and wine I enjoyed so much on my year abroad, the first thing on my to-do list was to hit up the pharmacies in Paris, renowned for stocking the best skincare products in the world. 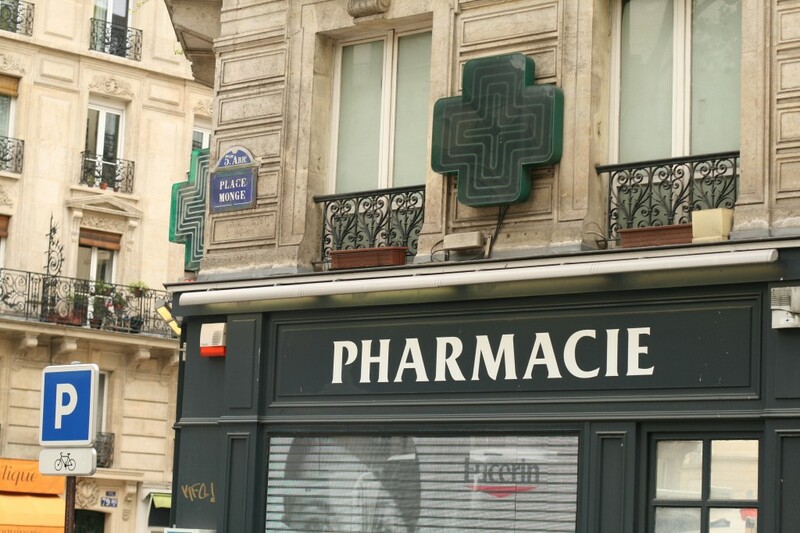 Luckily my friend Andrew gave me an insider tip to head to Place Monge in the 5th, whose pharmacie (directly outside the metro) has the best value products in the city. Cue a complete skincare overhaul. I started with La Roche Posay’s Serozinc, high on my wishlist after its praises were sung on Vivianna Does Makeup, and a spritz of this hydrating solution post-Pixi Glow Tonic is now a firm favourite in my cleansing routine. Next in my shopping bag, a cheeky duo hiver of Caudalie Hand and Nail Cream and Lip Conditioner– perfect for the handbag. And the pièce de resistance? 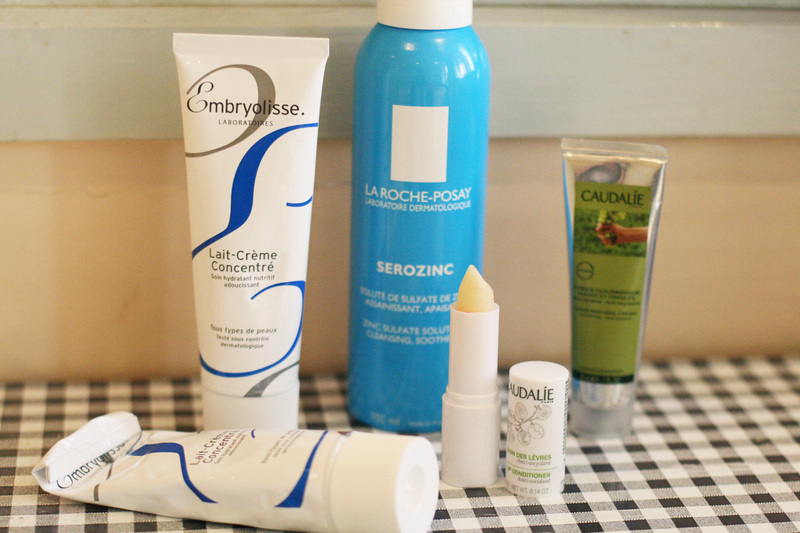 Embryolisse’s cult product and staple in many a model’s beauty kit Lait-Crème Concentré, kindly recommended by @FabuliciousHL when I put out a Twitter plea for something to help with my dry skin. (It was on discount at 2 for 20 euros- as I was considering buying one online for £16+pp I almost cried with happiness!) Words alone cannot express my love for this moisturiser. Its plumping ingredients of shea butter, beeswax and aloe vera leave my skin incredibly supple and banish the aforementioned dry patches. 3 days after my return and I’ve used nearly half of one tube. 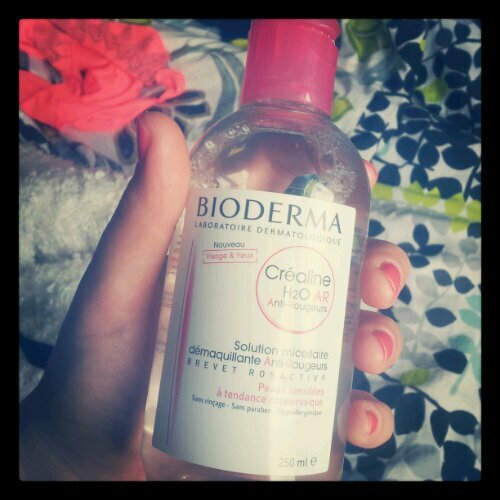 And as much as I tried to stick to the budget… I cracked in the airport and spent my last pennies on Bioderma Créaline H2O Anti-rougeurs solution. An ultra-mind, non-rinse cleanser perfect for sensitive skin and developed for skin that’s sensitive and like mine prone to the odd red patch here and there. Lait-Crème Concentré and Bioderma Créaline have been my staples since year abroad. Also, congrats on the new job!